Last week, with a delicious recipe for mint marinated shrimp, I introduced you to the new show One World Kitchen and one of its hosts, Vijaya. The show highlights the diversity of Canadian cuisine by focusing on five global cuisines – Indian, Italian, Argentinian, Thai and Japanese. Now that we’ve covered Indian food, we’re talking about one of my all time favourites, Japanese cuisine. 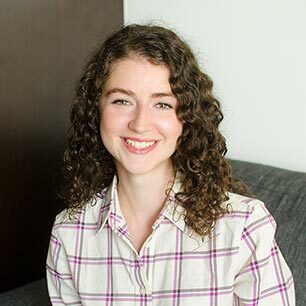 The episodes that focus on Japanese cuisine are hosted by Hana Etsuko Dethlefsen, born and raised in Canada to a Japanese mother and German father. 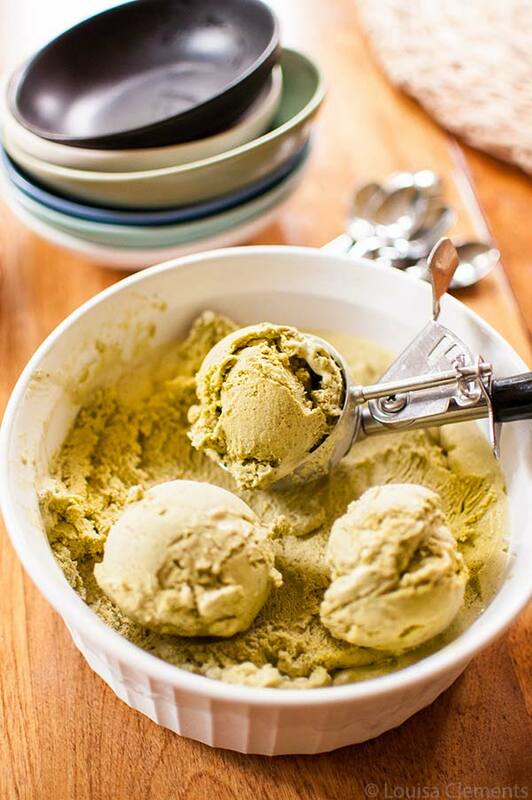 Lucky for you, I’m sharing her recipe for green tea ice cream. I love the way Hana talks about the variety of textures in Japanese cuisine, as it’s one of my favourite things about it. I’ve been a huge fan of Japanese cuisine for years and probably visit my local Japanese spot in Toronto about once a week. The episode “Burst of Japanese Flavours” was one of my favourites from Gusto TV’s new series as it features Hana making delicious, casual Japanese food like savoury pancakes, gyozas and of course, this green tea ice cream. The show is lively and upbeat and I’ve never seen food look so good – I especially love the slow-motion shots of foods cooking. Once I finished the episode, it was tough to decide what recipe I wanted to try out because everything looked so good. However, it is June so ice cream seemed like the perfect recipe. After watching the episode (catch episodes weekdays on Gusto TV at 8:00pm and 8:30pm ET), I can’t wait to try out all of Hana’s recipes – she makes intimidating Japanese dishes completely approachable! 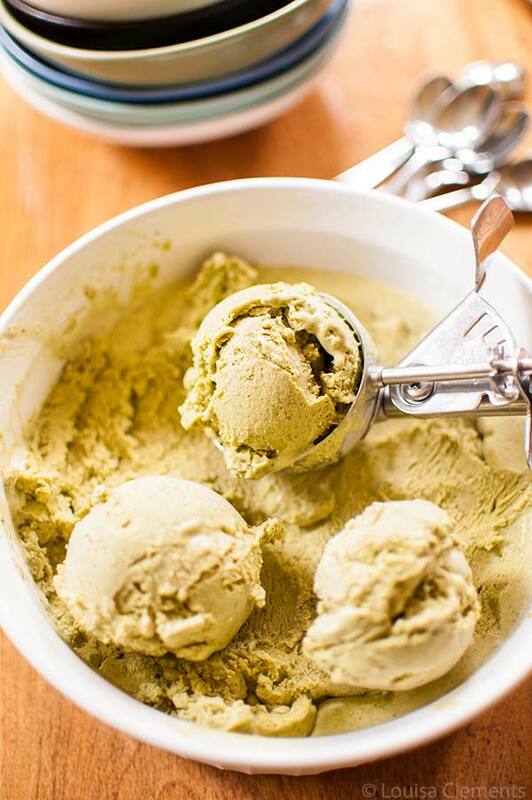 Irresistibly rich and creamy, this vibrant green tea ice cream is made with Matcha, which is a powdered Japanese tea (can be found in some grocery stores and most health food stores). With slight bitter notes, this ice cream is an authentic Japanese desert. Have ready a medium stainless-steel bowl sitting on top of another bowl with ice. Place a fine-mesh sieve in the top bowl. In a medium heavy-bottomed pot, bring the cream, milk, and salt to a simmer over medium-low heat. In a bowl, whisk together the eggs, sugar, and matcha. If the matcha does not completely dissolve, pour in about 1 cup (250 mL) of the hot cream mixture in a slow stream, whisking vigorously. And the whisked-egg mixture into the pot with the cream. Cook, stirring constantly with a wooden spoon or heatproof spatula, over medium-low heat, until thick enough to coat the back of spoon, or registers 165°F (74°C) on an instant-read thermometer. Do not let it boil. Immediately pour the custard through the sieve into the stainless-steel bowl. Cool to room temperature, stirring occasionally. Chill, covered, until cold, at least 1 hour. Freeze in the ice cream maker, following manufacturer’s instructions. Transfer to an airtight container, and let it harden in the freezer. Serve with whipped cream, and/or any other sundae garnishes of your choice. Hana Dethlefsen’s recipe from the One World Kitchen series, brought to you by Gusto TV. Republished with permission. 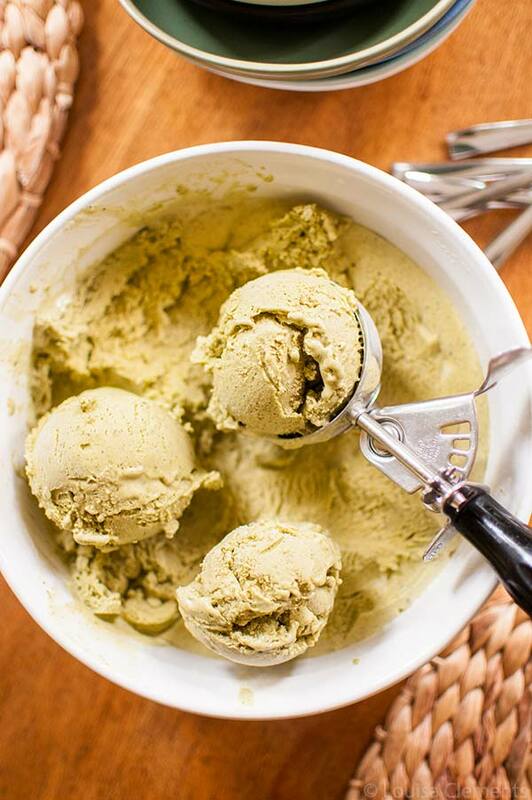 Green tea ice cream sounds amazing and delicious! I have a very strong feeling that not only me, but also, my family is going to love this. Thanks Alex! Let me know if you give it a try.